Popcorn knit. Hand knitted feel. Cuffed design. Suprafleece™ thermal band. Removable self colour fau.. Heavy multi yarn cable knit design. Hand knitted feel. Shearling thermal band for extra warmth. Cuff.. Heavy multi yarn cable knit design. Bold four colour stripe design. Shearling thermal band for extra..
Polyester shearling lining for extra warmth. Contemporary geometric pattern. Cuffed design. 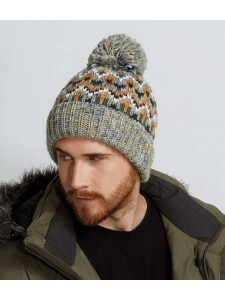 Self col..
Heavyweight multi yarn knit. Hand knitted feel. Suprafleece™ thermal band. Large tonal pom pom. Tear.. Heavy cable knit. Hand knitted feel. Cuffed design. Suprafleece™ thermal band. Self colour pom pom. 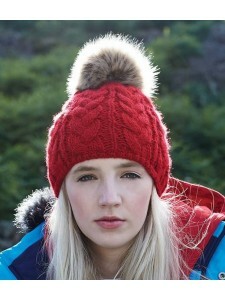 ..
Chunky hand knitted feel. Cuffed design. Suprafleece™ thermal band. Contrast pom pom. Tear out label..
Polyester shearling lining for extra warmth. Heavy multi yarn cable knit design. Cuffed design. Self.. Heavy cable knit. Hand knitted feel. Suprafleece™ thermal band. 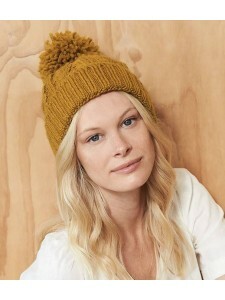 Removable faux fur pom pom. Tear out..
Chunky knit. Three colour stripe design: Coral/light grey/white, sapphire/kelly green/white, black/g..